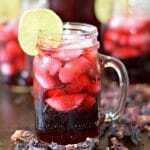 Hibiscus tea, also known as “Agua de Jamaica”, is delicious, refreshing and a very popular beverage throughout Mexico. Para aprender como hacer agua Jamaica en español, haz click aquí. Other than horchata, hibiscus tea, or “Agua de Jamaica” as we call it in Mexico, is one of the most popular beverages that you will find in Mexico. 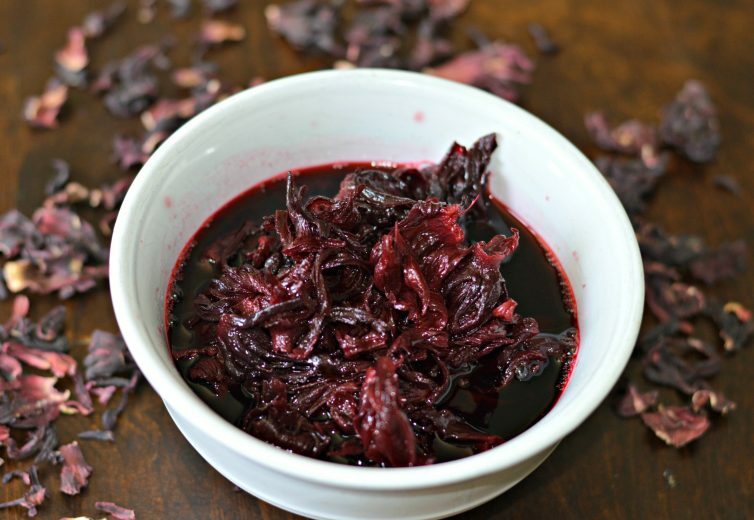 It is made with dried hibiscus petals and can be served either hot or chilled. In Mexico, it is almost always served chilled, and you can find it at almost any eating establishment throughout the country. It is commonly served with lunch or dinner and is a great complement to some great Mexican dishes, including the following. 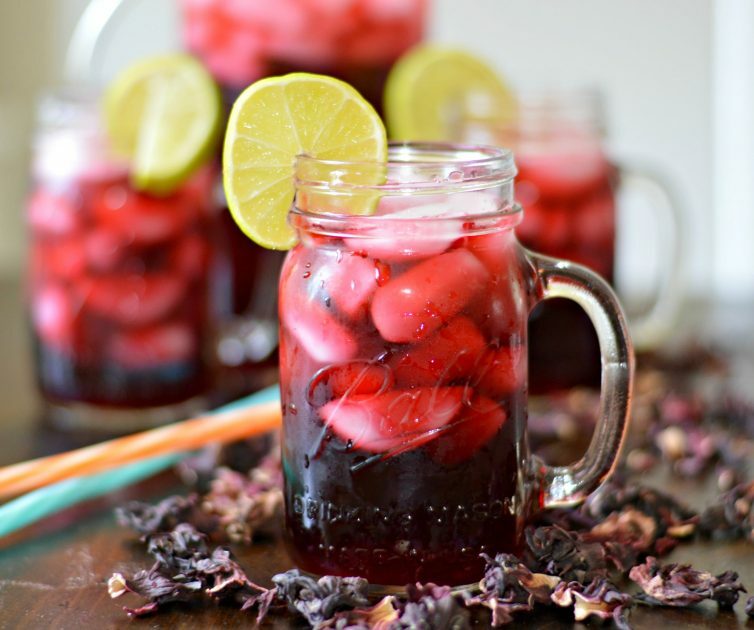 Hibiscus tea is nearly as popular in Mexico as the famous horchata. It is honestly a very important part of the Mexican culture. That is true, even though there are forms of hibiscus tea that are made throughout the world, from Angola to China, Egypt, and even here in the United States. Hibiscus tea is extremely easy to make. In fact, you only need three simple ingredients! Hibiscus tea has lots of health properties that make it a great choice any time of year, including promoting better circulation, relieving constipation, and it can also help you sleep better. Those are some of the reasons that many people in the world drink it as a hot drink. Personally, I enjoy drinking it chilled because it brings back so many memories from my childhood. So, How do you make Hibiscus Tea? I said above that Hibiscus tea is very easy to make. Now you are going to see that I was telling the truth! All you have to do is boil the hibiscus petals for 15 minutes so that it releases the flavor and color, and then, after straining the liquid, you combine that liquid with additional water, sugar, and ice. My abuelita had an alternate way of preparing the Hibiscus tea, which worked extremely well in the hot sun of Mexico. She always used to let the dried hibiscus petals soak in the water out in the sun until they were nice and soft, before straining the liquid and continuing with the process. She said that was the best way to conserve its health properties. Now, I’m not sure if it was her wisdom, or just that she made it with a lot of love, but I have to say that she always made the most delicious hibiscus tea! You can do it that way if it is sunny where you live, and if you have a lot of time, but if you follow the recipe below it will turn out delicious as well. Naturally, the most delicious and authentic way to drink hibiscus tea is in its natural form. However, there are some easy variations that you can make to it that are also quite delicious. For example, you can add some lemon juice, fresh strawberries or raspberries, a bit of orange juice, a leaf of mint, or even with mineral water! I suggest trying it as written first, but don’t hesitate to try out some other variations as well! 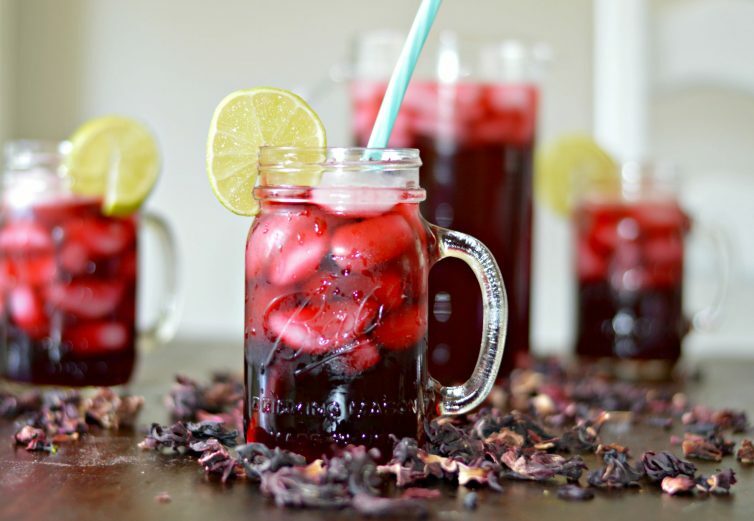 Hibiscus tea, also known as "Agua de Jamaica", is delicious, refreshing and a very popular beverage throughout Mexico. 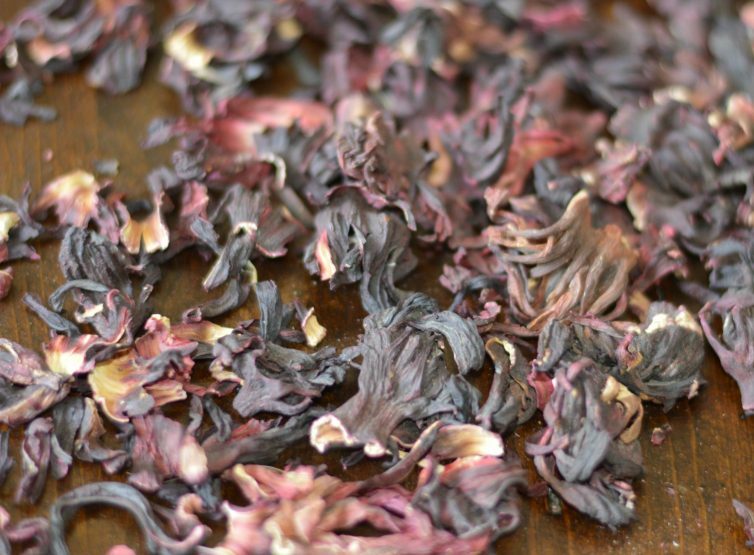 Add the dried hibiscus petals to a small pot on the stove with two cups of water, and bring to a boil. Lower heat to medium-low and let simmer for about 15 minutes. In a separate pitcher, combine 1 liter of water with the sugar and mix until the sugar dissolves. Remove the hibiscus and water from the heat, and let cool for approximately 30 minutes. After 30 minutes, strain the liquid from the hibiscus petals and add the strained liquid to the pitcher with the sugar and water. 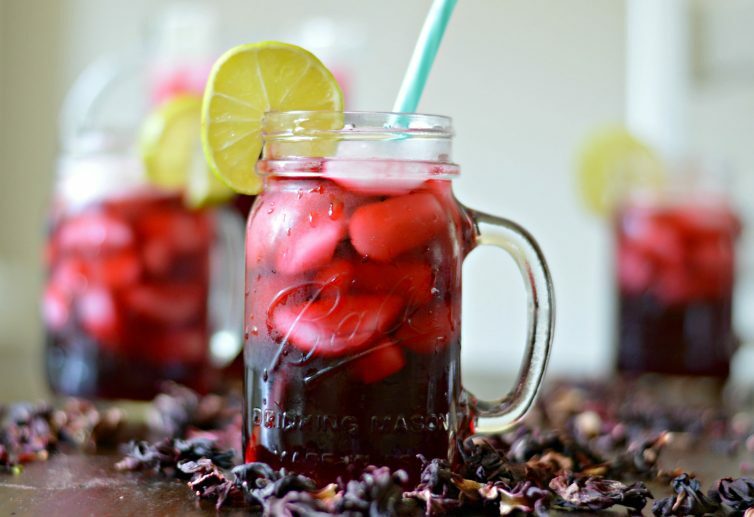 excellent recipe for hibiscus tea! The recipe calls for leaves but all your pictures show petals. The red color would also come from the petals, not the leaves. I make teas with flowers, but to get the taste, you need the petals.